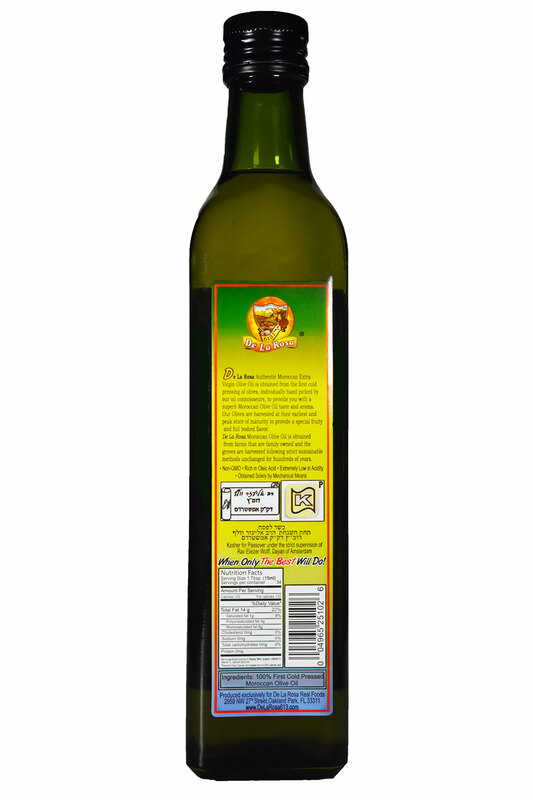 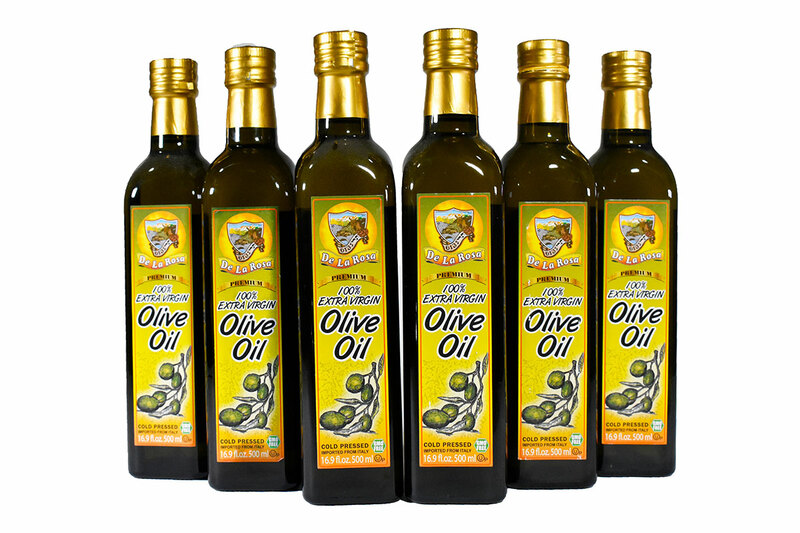 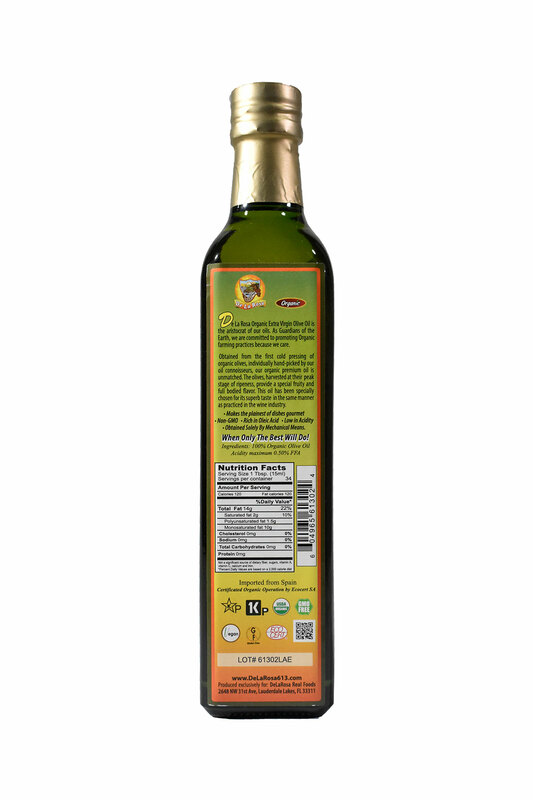 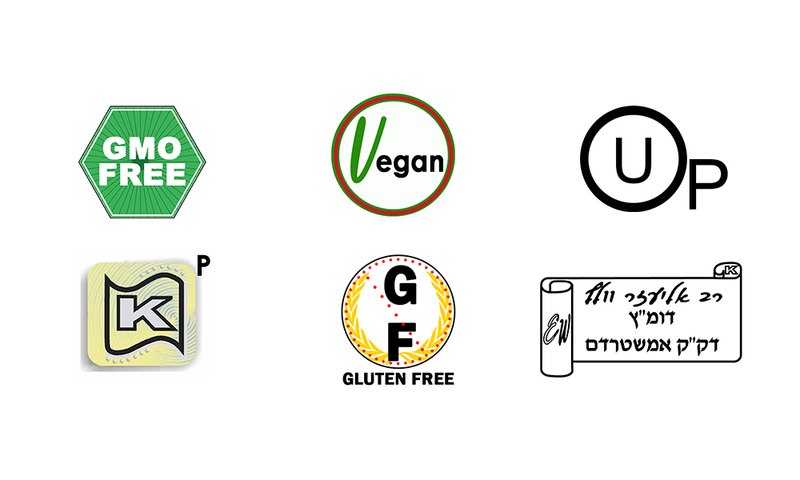 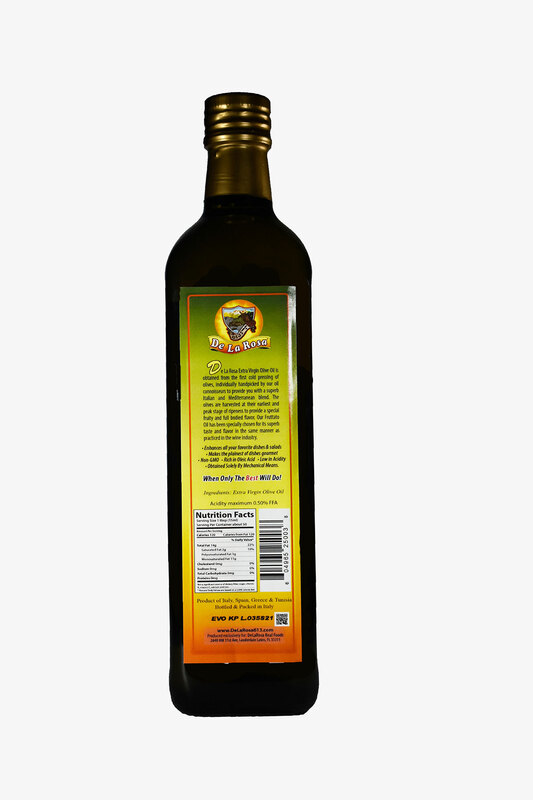 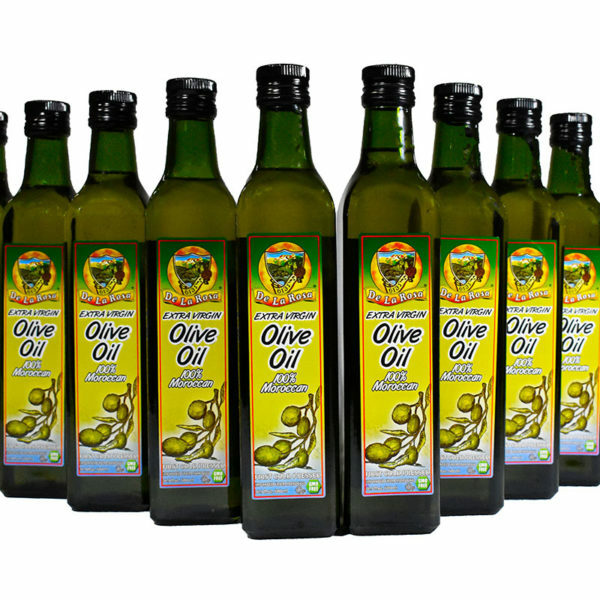 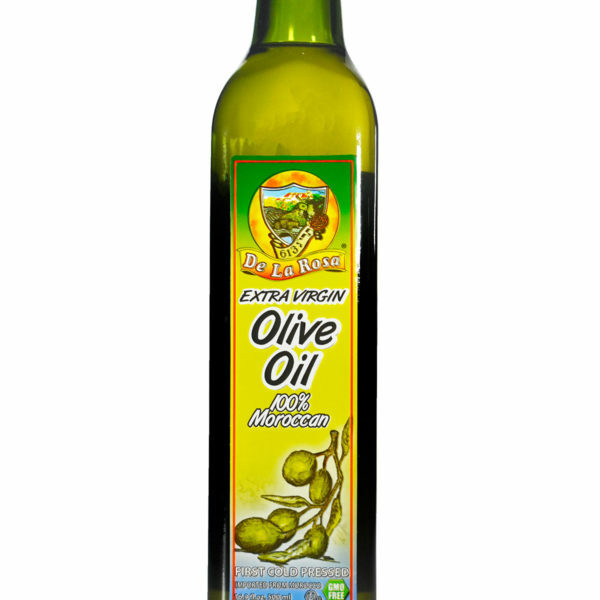 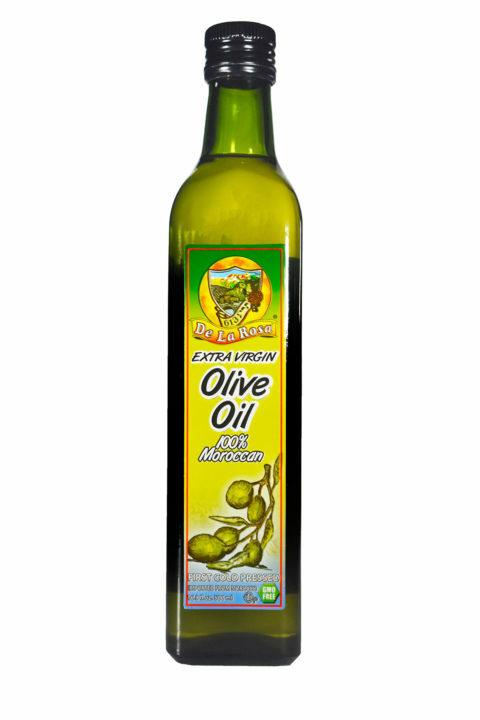 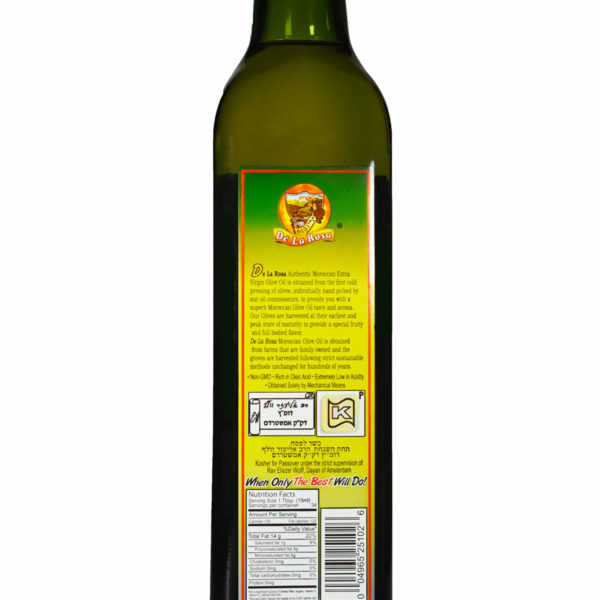 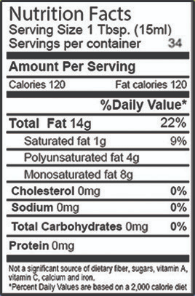 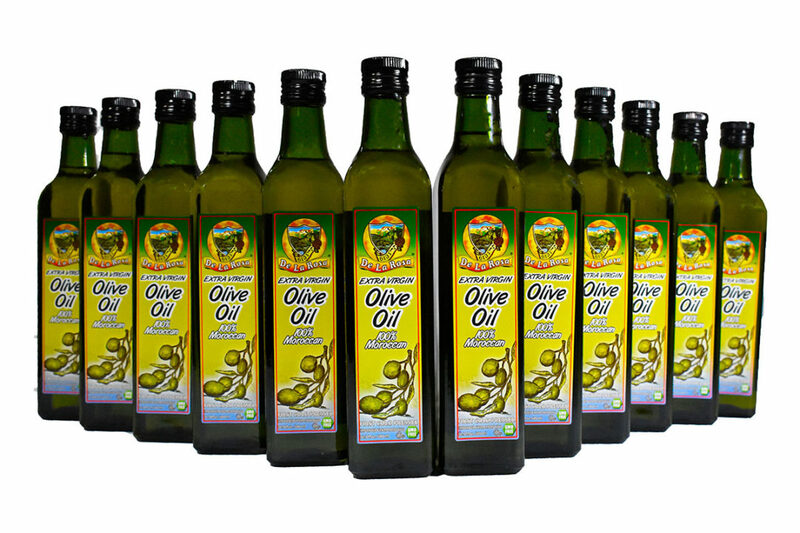 100% Moroccan Extra Virgin Olive Oil Filtered and Unfiltered. 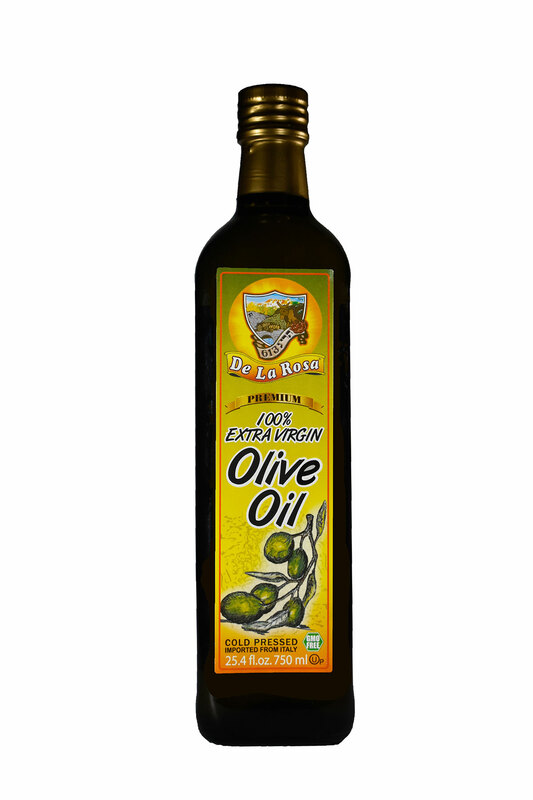 Description: De La Rosa Moroccan Olive Oil is obtained from farms that are family owned and the groves are harvested following strict sustainable methods unchanged for hundreds of years. 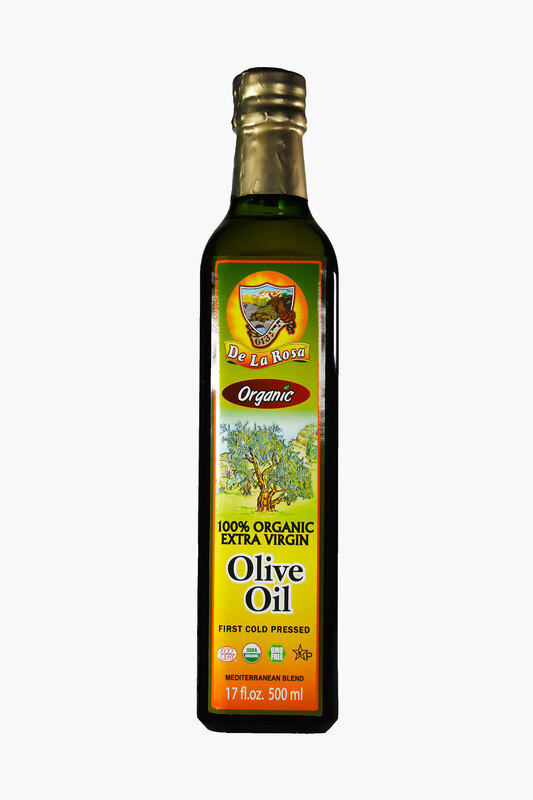 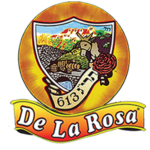 De La Rosa Moroccan Olive Oil is obtained from farms that are family owned and the groves are harvested following strict sustainable methods unchanged for hundreds of years.